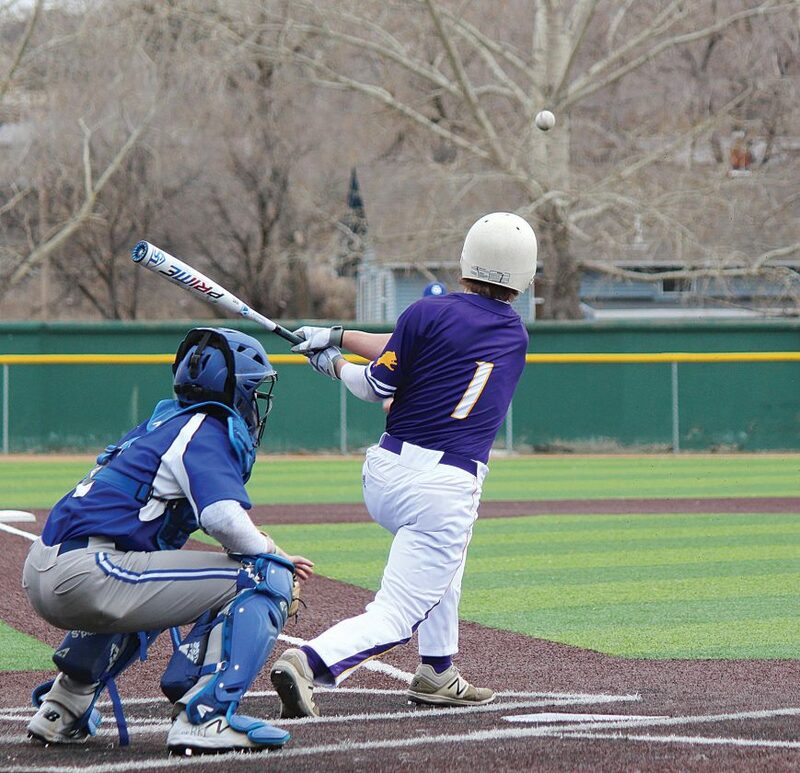 Alex Eisen/MDN Bishop Ryan's Logan Merck makes contact with a pitch Thursday in Game 1 of doubleheader against Surrey/Our Redeemer's at Corbett Field. 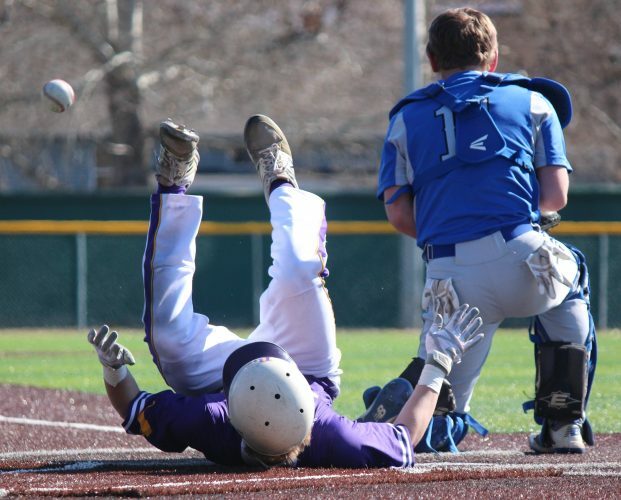 The Bishop Ryan and Surrey/Our Redeemer’s baseball teams combined to score 37 runs in a Thursday doubleheader, matching the 37 degree Fahrenheit temperature outside at Corbett Field. Braving the elements of a cold North Dakota spring evening, Ryan unloaded a 15-0 five-inning victory in Game 1. The Mustangs eventually warmed up and took the second game, 13-9. 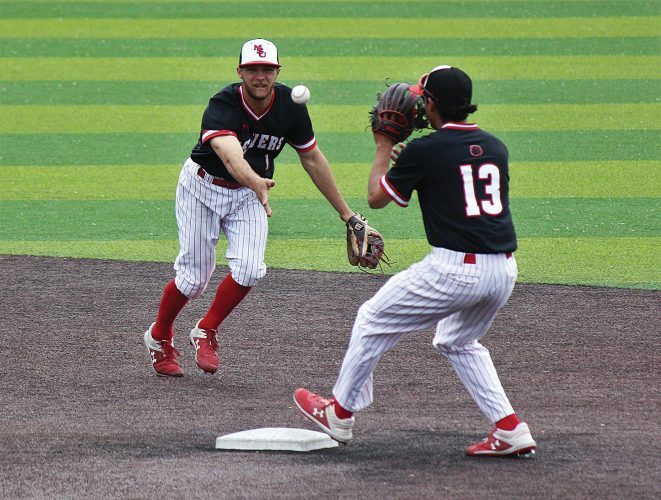 In all nine innings that the Lions stepped to the plate in the doubleheader, they scored at least one run. In Game 1, Ryan knocked in three or more runs in all four innings that they got to take at-bats. Only one player in Ryan’s batting order was hitless in the first contest. 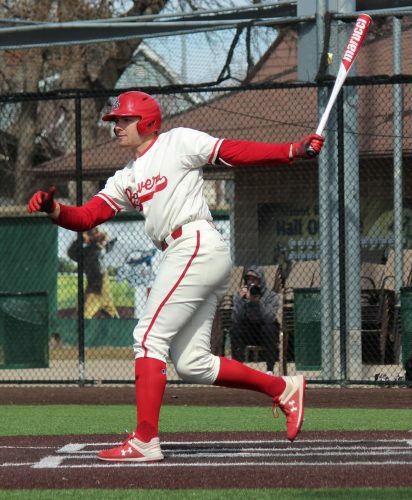 At the top of the card, Logan Merck and Mason Hedberg each went 3-for-4 with Hedberg collecting three RBIs, while Merck had an RBI triple in the fourth inning. In the middle of Ryan’s lineup, Murphy Lipp went 2-for-3 with four RBIs. Hunter Johnson and Nick Sanders also drove in runs behind him. 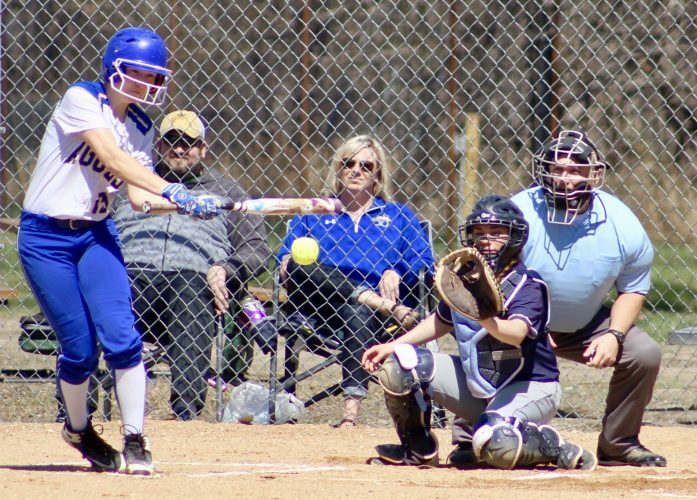 The Lions piled up 15 runs on 13 hits to force the five-inning mercy. Not to be overlooked, Ryan starting pitcher Calvin Watkins took a no-hit bid into the fifth inning. It was broken up by Jacob Forsman on an infield single and Coltan Francis followed that up with a sharp single. Watkins allowed five base runners in total and racked up seven strikeouts in a complete-game effort. Ryan looked poised for another lopsided win after jumping out to a 5-0 lead in the nightcap. But, the bats finally came around for the Mustangs. Surrey scored its first run of the evening in the top of the third inning on an RBI single by Ryder Holien. Collin Headrick added a two-run single shortly after, 5-3. Starting pitchers Holien and Hedberg both struggled with their command. Relief pitchers Kekoa Munos for Surrey and Jaxon Feller for Ryan also found it hard to get the ball over the plate. In total, 15 walks were issued in the second game. Consecutive three-run innings by the Mustangs tied the score at 6-6 in the top of the fourth. But, for a second straight inning, Surrey left the bases loaded. Ryan briefly took the lead back in the bottom of the fourth inning on a wild pitch that brought in Kersey Harris. 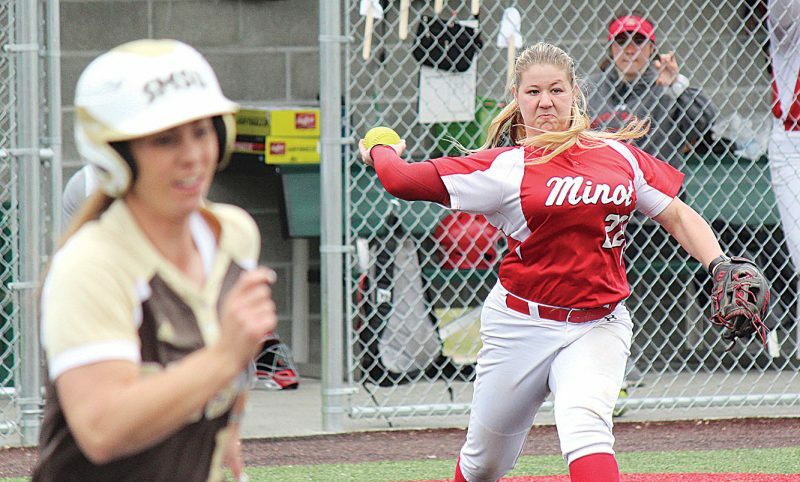 Needing a run to keep the five-inning contest going, the Mustangs exploded for a seven-run fifth inning. Holien, Headrick and Munos each hit two-run singles. Damian Emly also dropped in an RBI single. Ryan mustered two more runs in the bottom of the fifth, but couldn’t close the gap, falling 13-9. The Lions head to Bismarck on Saturday for games against Central Cass at noon and then Shiloh Christian at 4 p.m. The Mustangs host Rugby at 4 p.m. this evening in Surrey.